The Zamora Mirror is designed to extend the surface of the mirror onto the frame, via a highly polished stainless surround. 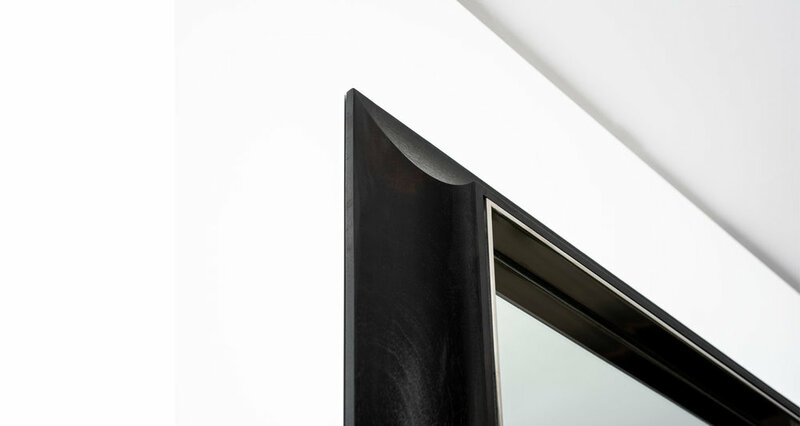 The solid Ebonized Mahogany frame has a translucent stain which reveals the beauty of the wood grain. Custom sizes available.